Contact us at exhibitions@brooklynmuseum.org if you are interested in bringing this exhibition, or others, to your institution. Focusing on the work of black women artists, We Wanted a Revolution: Black Radical Women, 1965–85 examines the political, social, cultural, and aesthetic priorities of women of color during the emergence of second-wave feminism. It is the first exhibition to highlight the voices and experiences of women of color—distinct from the primarily white, middle-class mainstream feminist movement—in order to reorient conversations around race, feminism, political action, art production, and art history in this significant historical period. Presenting a diverse group of artists and activists who lived and worked at the intersections of avant-garde art worlds, radical political movements, and profound social change, the exhibition features a wide array of work, including conceptual, performance, film, and video art, as well as photography, painting, sculpture, and printmaking. The artists represented in the exhibition include Emma Amos, Camille Billops, Kay Brown, Vivian E. Browne, Linda Goode Bryant, Beverly Buchanan, Carole Byard, Elizabeth Catlett, Barbara Chase-Riboud, Ayoka Chenzira, Christine Choy and Susan Robeson, Blondell Cummings, Julie Dash, Pat Davis, Jeff Donaldson, Maren Hassinger, Janet Henry, Virginia Jaramillo, Jae Jarrell, Wadsworth Jarrell, Lisa Jones, Lois Mailou Jones, Barbara Jones-Hogu, Carolyn Lawrence, Samella Lewis, Dindga McCannon, Barbara McCullough, Ana Mendieta, Senga Nengudi, Lorraine O’Grady, Howardena Pindell, Faith Ringgold, Alva Rogers, Alison Saar, Betye Saar, Coreen Simpson, Lorna Simpson, Ming Smith, and Carrie Mae Weems. 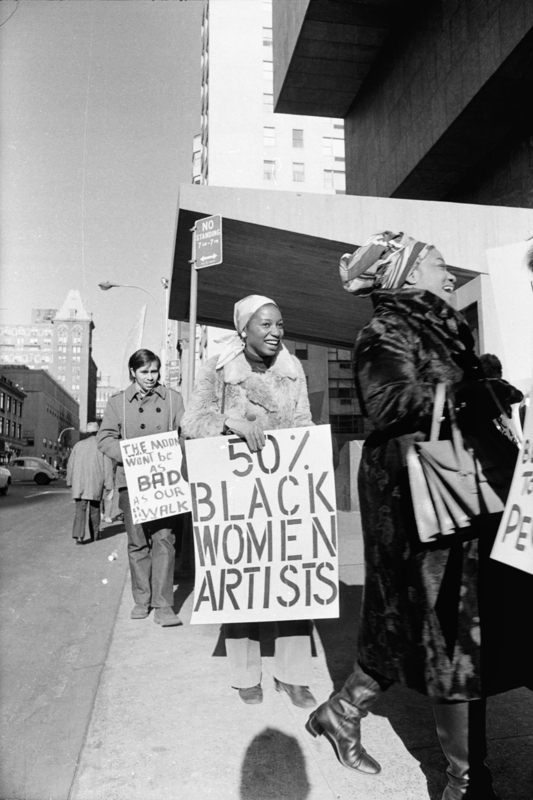 We Wanted a Revolution: Black Radical Women, 1965–85 is organized by Catherine Morris, Sackler Family Curator for the Elizabeth A. Sackler Center for Feminist Art, Brooklyn Museum, and Rujeko Hockley, former Assistant Curator of Contemporary Art.